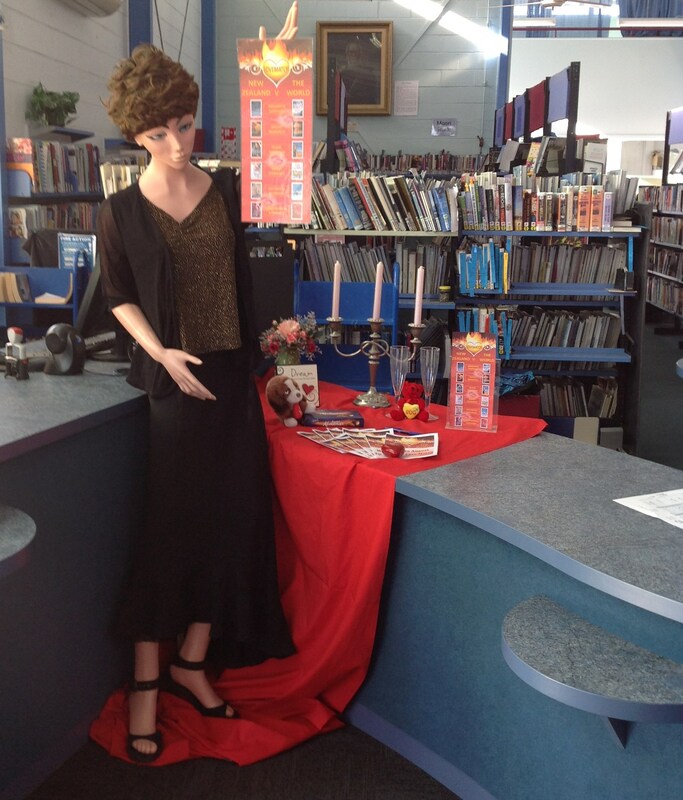 LoveMatch display at Wairoa Centennial Library. In January I embarked on a Year of Romance Reading with a head-to-head LoveMatch: New Zealand vs The World. 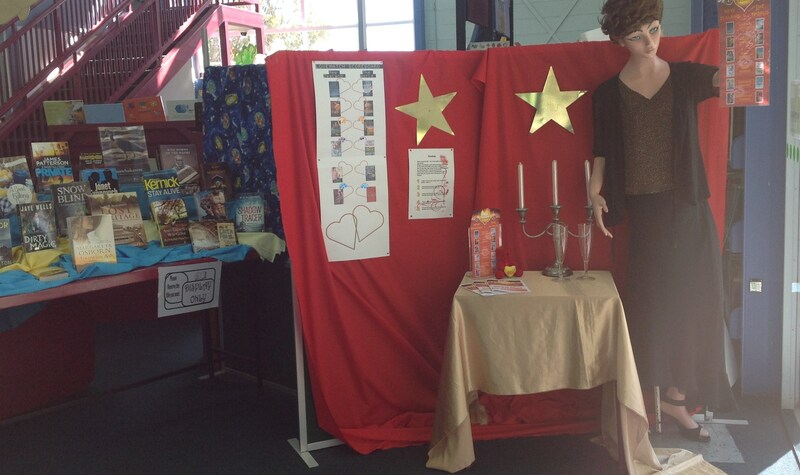 Sandra Hughes, the Manager of Wairoa Centennial Library, took this idea a step further and launched a LoveMatch Reading Challenge for their customers. 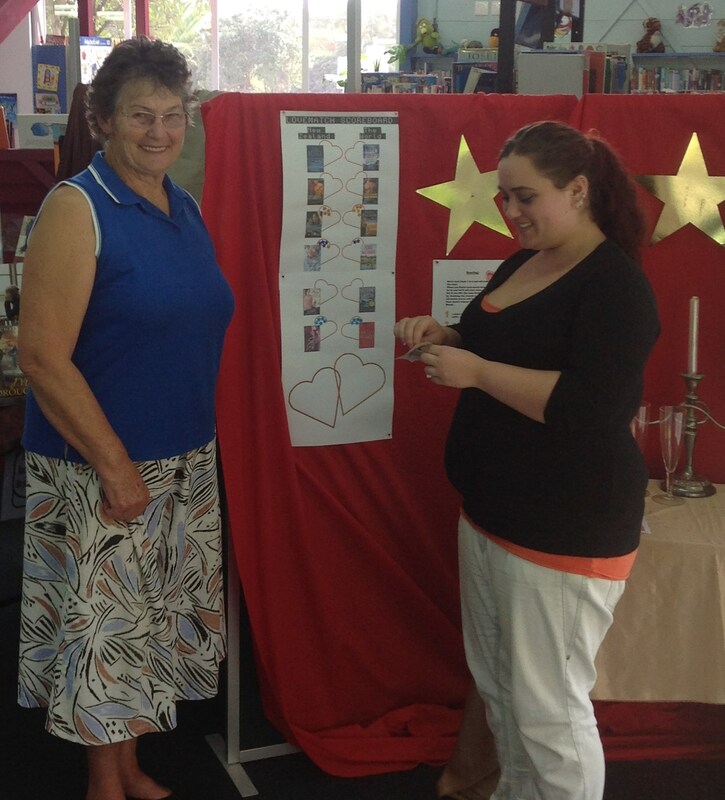 Below Sandra explains how Wairoa’s LoveMatch Reading Challenge works. I get Sally’s Finding Heroes posts and when I saw the poster of her personal lovematch challenge it was an instant hit of …”wow, cool poster, WOW, cool idea, what fun would that be to do with our regular customers”. I thought I was being cheeky asking if we could borrow the poster and idea but… NZ Librarians are THE BEST at sharing ideas. Thanks Sally. Did you initiate the LoveMatch Reading Challenge or someone else? It was a combined effort with my Adult Services Librarian Kimberly who jumped at the idea as well. Why did you want to give it a go? We had been discussing wanting to do something special for adults once the Summer Reading Programme was over and this was the perfect diving board. We have kept it ‘in house’ rather than promoting it externally as we wanted something special to do with our regular borrowers. How does the Lovematch Reading Challenge work? We set a target of six months to complete two matches, ie read four books. We gave each participant a booklet with blurbs and a score system, with matches lined up (also a cool bookmark using Sally’s poster). We chose a very simple scoring system (fun and really quick and easy to use). When a participant reads the book they enter the score in their booklet. When the participant has read both, so completed the match they show the staff their score and we put the corresponding number of stickers on the “LoveMatch poster”. LoveMatch scoreboard at Wairoa Centennial Library. How many customers are participating? We have a dozen so far but have left it open until the six months is up, just in case we can enthuse more. Most were hesitant at first but everyone is enjoying it now. In fact the most hesitant person is now our most enthusiastic participant, and that has made it worth it alone. This is our very first attempt at anything like this. What advice would you give others interested in doing something similar? We are following it up with a June travel month using the Lonely Planet campaign as a diving board. a) although we had them in the collection and staff had read them, I couldn’t bring myself to be encouraging about Fifty shades. b) I own up I am a fan of Nalini Singh but I much prefer her Psy-Changelings series to her angel one so I swapped that title over. Next Post 70/100 Days of Creativity: Run, Cesar! Run!